Sunday was long run day, 5 minutes at 7:57/km, 70 minutes at 6:54/km. 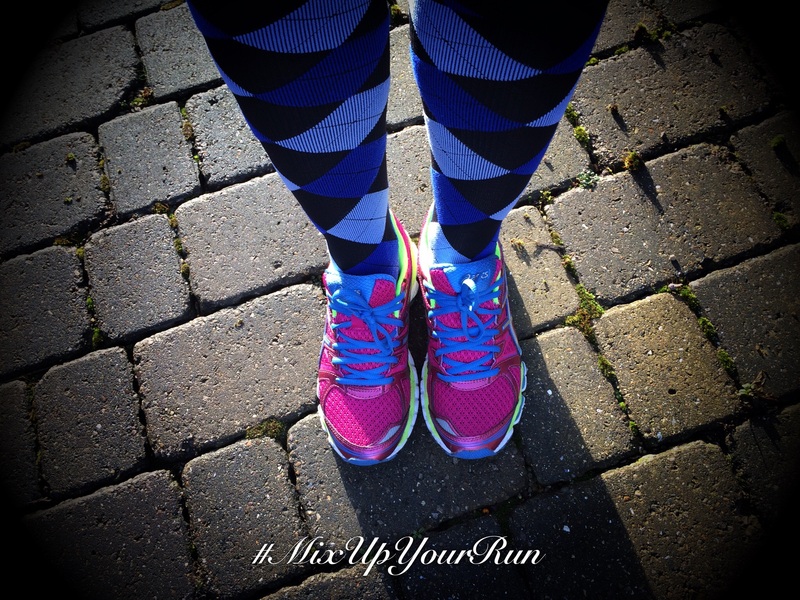 I plotted out a route to cover the 10.8km, laced up my ASICS Gel-Glorify and headed out nice and early at 8am. I generally run at this time on a Sunday as it means there’s plenty of time later in the day to get the weekly shop done and squeeze in a recovery nap or two. The Gel-Glorify feel completely different to the 33-DFAs, you can feel straight away that the drop isn’t as great and the heel cup is really padded. I was looking forward to giving them a good session to see how they performed. Being so early it was a bit frosty, and they felt slightly skittish in places. That’s no different to any of the other trainers I have run in though, so no complaints there. The first 5km was mostly uphill. The first section on pavement, the second frozen grass. All felt good, the heel was holding well and I had no numbness issues. A very positive start to things, although it could be that I was slightly distracted listening to The Chimp Paradox by Prof Steve Peters. The downhill section started and almost immediately I started to feel pressure on my left big toe. Not so much on the end but on the top where the nail sits. Of course once you notice something like this it just sits and nags in the background. It wasn’t painful, there was just pressure there. I could have stopped to readjust my lacing but that would have meant stopping. 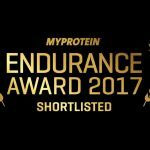 I was feeling strong in my run and didn’t want to do that, onwards I pushed. It didn’t get worse over the next half of the run but I did get some slight tingliness in the balls of both feet. 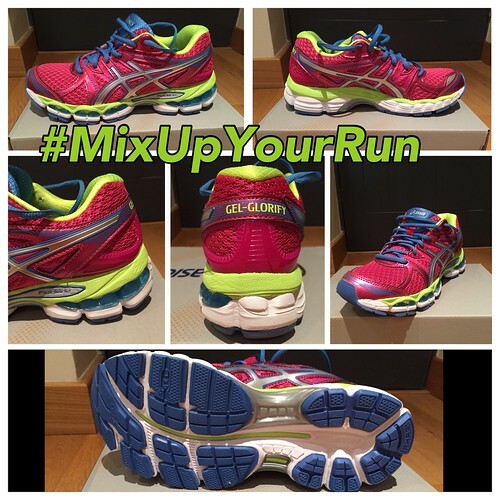 I have a feeling that the ASICS Gel-Glorify may be a touch on the narrow side for my feet. The Boyf is a massive ASICS fan, and from our experience with snowboard boots it is pretty much guaranteed that if a boot make fits him then it’s too narrow for me. If a boot is comfy for me, it’s too wide for him. I am going to give them another session and see if lacing them slightly differently holds my foot better so it doesn’t end up pressing on my toe, but at present I don’t think I’m brave enough to wear them for my upcoming Hugin Challenge. Having managed to avoid black toenails so far I am not sure risking them on a 6 hour run is the right thing to do. That said apart from the toe niggle they were really comfy, I really want to like them and have them work for me so I am not going to write the off just yet! 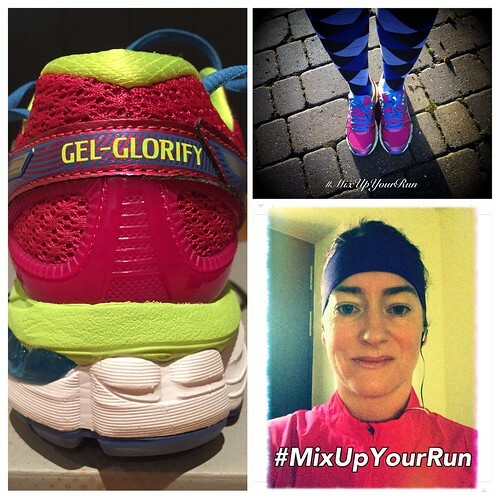 Check back in for further posts on how I fair on the long run with the Gel-Glorify, and why not check out your closest Intersport and try on a pair to see if they suit you!